Again this year we have chosen HOMI Milano , the Lifestyle Tradefair, to present the latest collections for Autumn Winter 2016. 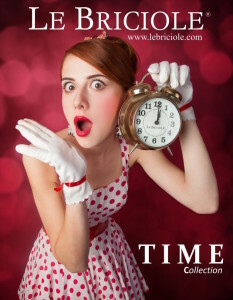 What better time to launch some new models of watches suitable for lovers of the world of LE BRICIOLE. Both get mineral resistant sapphire crystal and water resistant, available in different colors , all the fashion in order to be matched with simplicity and joy to outfit the latest trends. They mount a genuine leather strap and are extremely lightweight .